It was the first time in 10 years. (wo3 de.) (xian1 sheng1) (yao4) (dai4) (wo3) (qu4) (lu4 ying2). My husband wanted to take me camping. (suo3 yi3) (you3) (ji3) (tian1) (ta1) (hen3) (mang2). (so) (have) (few) (day) (him) (very) (busy). so for a few days he was very busy. perhaps there won’t be enough food, and I will be starving. I will feel tired to death. [(zai4) (shan1) (shang4) (ye4) (wan3) (de.)] (tian1 qi4) (hui4) (rang4) (wo3) [(leng3) (si3 le.)]. [(at) (mountain) (on) (night) (late) (turns prior phrase into adjective)] (weather) (to make) (me) [(cold) (to death)]. in the mountain nights the weather makes me so cold I could die. If a bear is hungry, a tent is not going to protect us! (wo3) (yi2 ding4) (hui4) (bei4) [(xia4) (si3 le.)]. (I) (certainly) (will) (by) [(frightened) (to death)]. I will be scared to death! (I) (not should) (to make) (myself) [(to worry) (to death)]. (han4) (hao3 hao3) (huo2)❻ (zhe.) (lai2) (gao4 su4) (ni3) (gu4 shi4). (and) (well, or without any real problem, somewhat playfully stated) (to live) (suffix like “-ing”) (to) (tell) (you) (story). and go on living to tell you about it. ❶ For some reason, it has been hard for me to remember that 不 (bu4), which is typically pronounced with the 4th tone, changes to the 2nd tone when used in front of another word that is pronounced with the 4th tone. Another example is 不要(bu2 yao4), “don’t want.” It actually does make these words a bit easier to say, in my opinion. ❷ This is the main phrase in this blog. I mentioned recently that in the Chinese speaking world, they avoid saying any clear “death” words, if it is a real issue. But similar to English, in colloquial use they will say they are hungry “to death” or tired “to death” in less serious situations. 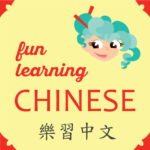 ❸ See this blog for what I have learned about using 不了 (bu4 liao3) with a verb. ❻ Because everyone reading understands that we are not talking about a real life and death situation, the less serious phrase, 好好活 (hao3 hao3 huo2) is used instead of 生活(sheng1 huo2) . The first combination is a casual admission that “life will actually go on just fine” or “it’s all good” or “to one’s heart’s content”, whereas the second set of characters is used more for talking about the overall, seriously important living conditions. Thus, I now know how to say, “eat to my heart’s content.” 好好吃 (hao3 hao3 chi1).